The head is to the right. 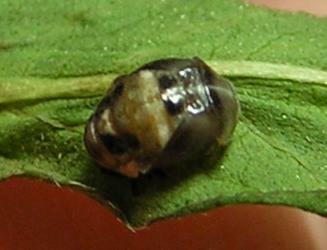 The larva pupated at 11 p.m. on Day 8. The pupal stage lasted 5 days (Day 8 to Day 13). I did not photograph it daily, because it did not visibly change.